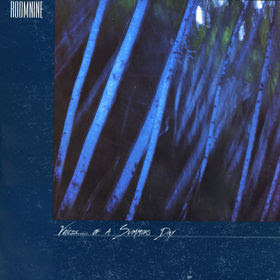 Ritual Room: Album: Room Nine - "Voices... Of A Summer's Day"
By special request, here's an album by another one of those North Western groups that existed before all the 90's hype (i know what you're thinking... it's amazing that such bands even existed in the NW). The band is scene legends Room Nine, and the members went on to form bands like Love Battery and the Chemistry Set. This is their only full length titled "Voices... Of A Summer's Day" which was released in 1987 and is dripping with psychedelia and chilled-out, rocking vibes with a nice hint of 80's new wave influence and a killer, spaced out groove. This is extremely hard to get ahold of so enjoy... and if this grabs your interest, members of this band are back with a new group called Down With People that you can check out here. DL: "Voices... Of A Summer's Day"